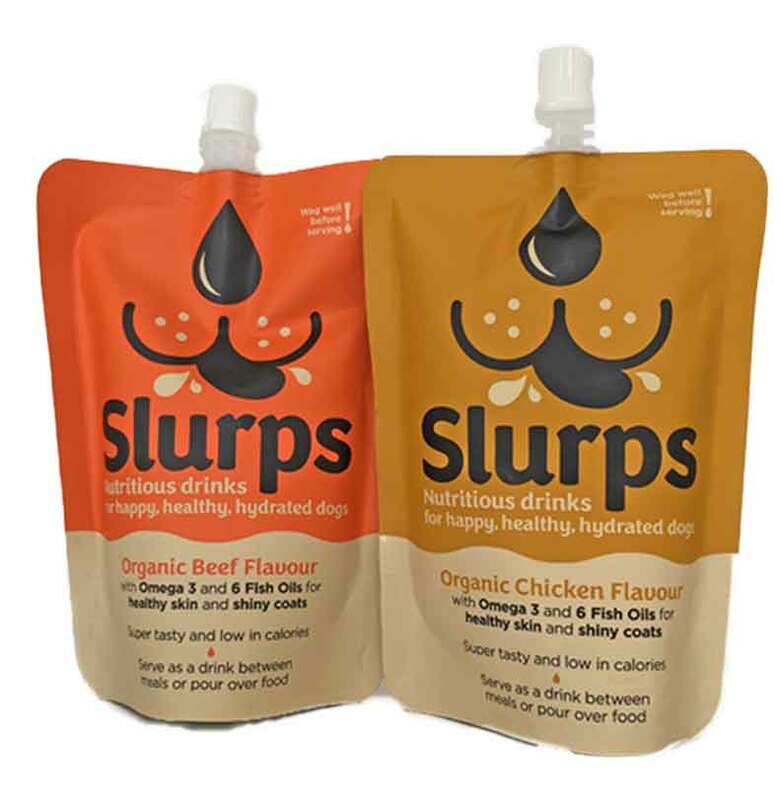 Slurps are naturally nutritious and delicious organic dog drinks with Omega 3 fish oils for happy, healthy, hydrated dogs. Why do we need drinks for dogs? Every owner knows how much their dog eats but ask them how much they drink and they’re not so sure. 2 out of 3 dogs don’t drink enough* which puts them at risk of dehydration and related illnesses including lethargy, loss of appetite and depression as well as kidney and liver disease and others. 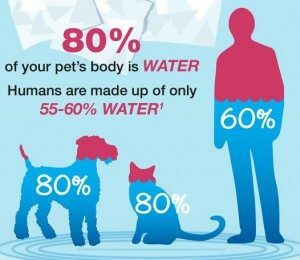 To keep healthy, vets recommend your dog should drink 50ml water per kg bodyweight per day. That’s 500ml for a 10kg dog or a full litre for a 20kg dog. But what do you do if your dog isn’t drinking enough? Ruby is a very active dog who drinks very little water. 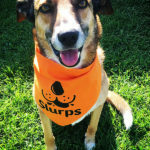 We spent a year developing Slurps to Ruby’s high standards but we wanted to make sure other dogs liked them just as much. After further taste tests at Raystede Centre for Animal Welfare, we discovered that 95% dogs lapped up Slurps whilst ignoring their bowls of water testimonials. Dogs LOVE Slurps and because they’re packed full of omega 3 fish oils, your dog will be happy, healthy and hydrated! They can have them as a drink between meals or poured over their food (great for fussy eaters). We decided to keep things really simple and started with three flavours: Beef, Chicken and (coming soon) Fish (all made from organic ingredients).